Dr. Ricardo Escobar is a partner in the Chilean Law firm, Bofill Escobar Abogados. Dr. Escobar has extensive tax experience in the Chilean public and private sectors. 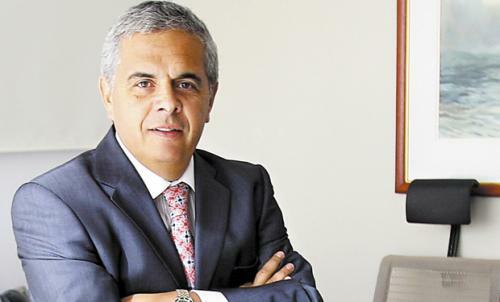 He was the Commissioner of the Chilean Internal Revenue Service from 2006-2010, where he led one of the key teams working on Chile’s accession process to the OECD. He has participated in designing legislation in Chile for the last two decades, including among other projects, the regime for concessions of public works, double taxation, and capital markets. Dr. Escobar has also been advisor to the Chilean Ministry of Finance on tax matters, and delegate on behalf of the Chilean Ministry of Finance to the OECD’s Committee of Fiscal Affairs. He was previously the Lead Partner for Transaction Advisory Services at Ernst & Young Chile and the Lead Tax Policy Partner for America and Global Lead Tax Policy Partner for the Mining Industry at E & Y. He was also a tax partner at Carey y Cia., the largest law firm in Chile. Dr. Escobar has a law degree from the Law School at Universidad de Chile and a Master of Laws degree (L.L.M) from the University of California, Berkeley. He is also a professor at the Law School of Universidad de Chile where he has taught Tax Law, Introduction to Economics, and International Tax Law.